La Ro' Nise was designed to work well in love, family, and protection workings. 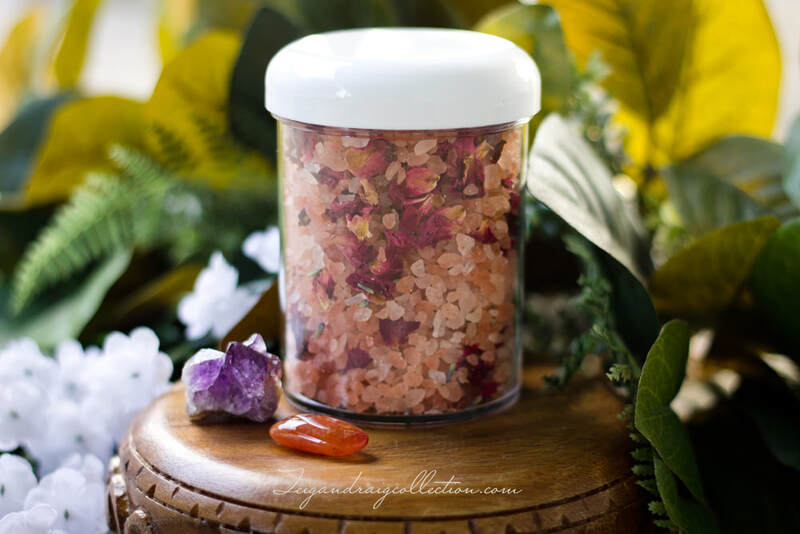 This blends purifies and cleanses the body and aura and draws love, self-love, confidence, stable relationships, and protection. 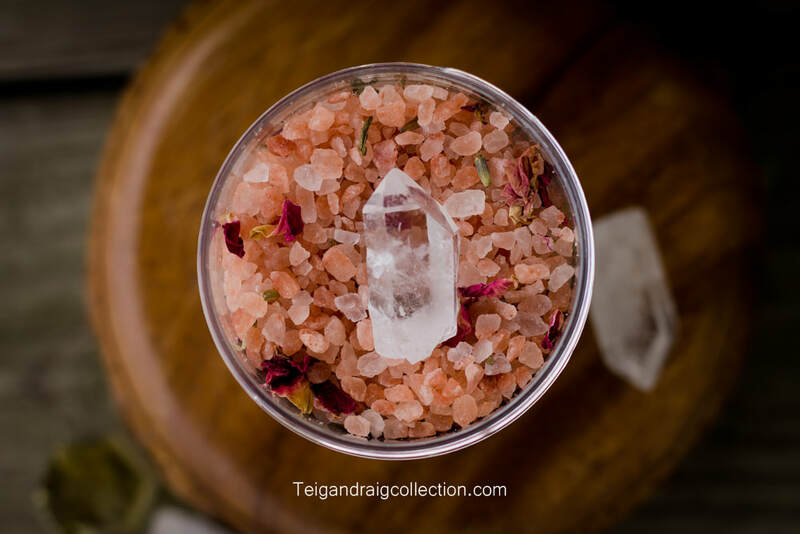 Made with Himalayan pink salt and a proprietary blend of all natural dried herbs. This blend is also wonderful for relaxation and detoxification. Light lavender licorice scent is heavenly. A clear quartz point is included to intensify the properties of this blend. You may add the gemstone to your bath water while you soak, or display and use as you see fit. **Note for those with allergies: La Ro' Nise Bath Salts contains almond oil (skin emollient). If you have an allergy need a product without almond oil, please contact me. I would be happy to make a custom order for you and substitute a different emollient at no additional cost to you.